The Supreme Court on Friday sought response from the Centre on six appeals filed by Arvind Kejriwal-led Aam Aadmi Party govt, challenging the Delhi high court judgement holding the Lieutenant Governor as the administrative head of the national capital. A bench of justices A K Sikri and N V Ramana also refused to stay the operation of August 4 verdict of the high court and said it would rather list the matter for final hearing on November 15. The bench, which granted six weeks time to the central government for filing its response to the appeals, also did not agree with the contention that the decision of Lieutenant Governor to set up a three-member committee to look into the past decisions of the Delhi government should be stayed. The bench said it may consider referring the petitions to a larger bench after hearing arguments. Attorney General Mukul Rohatgi, appearing for the Centre, raised various preliminary objections and sought dismissal of the appeals on various grounds, including that instead of a secretary, the deputy chief minister has sworn an affidavit in support of the petition. "This petition deserves to be dismissed on this ground alone," Rohatgi said, adding that moreover a nine-judge Constitution bench judgement has already dealt with this issue by holding that Delhi is a Union Territory. Senior advocate K K Venugopal, who represented Delhi government, said the minister had to swear the affidavit because of the effect of the judgement that there has to be a prior consent of LG in every decision of the government. "No public servant is willing to sign the papers," he said. The Delhi government had sought an urgent hearing on the appeals after which it was fixed for Friday. On September 2, the Delhi government had informed Supreme Court that it has filed six different pleas challenging the Delhi HC order and withdrawn its civil suit seeking declaration of the national capital as a full State. The court had allowed the AAP government to withdraw the civil suit and given the liberty to raise the issues raised in it in the Special Leave Petitions it has filed. The apex court had last month asked the AAP government whether it would file an appeal against the HC order holding Delhi as a UnionTerritory with LG as its administrative head. It had said the Delhi government needed to file the SLP as the civil suit would become "infructuous" as the Centre had vehemently opposed the AAP government's plea, saying it cannot pursue parallel recourse for the same relief. Earlier, the high court had held that Delhi will continue to remain a UnionTerritory under the Constitution with the LG as its administrative head. The high court had in its August 4 verdict said that the special constitutional provision Article 239AA dealing with Delhi does not "dilute" the effect of Article 239 which relates to Union Territory and hence, concurrence of the LG in administrative issues was "mandatory". 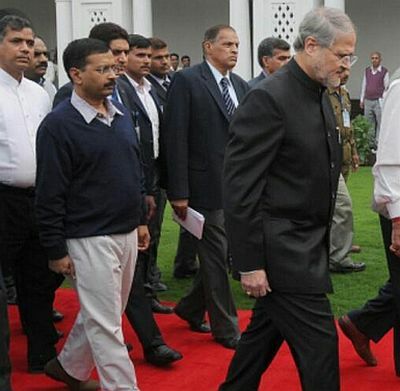 It did not accept AAP government's contention that LG was bound to act only on the aid and advice of the Chief Minister and his Council of Ministers with regard to making of laws by the Legislative Assembly under the Article 239AA and termed it as "without substance". "On a reading of Article 239 and Article 239AA of the Constitution together with the provisions of the GNCT of Delhi Act, 1991 and Transaction of Business of the Government of NCT of Delhi Rules, 1993, it becomes manifest that Delhi continues to be UnionTerritory even after Constitution (69th Amendment) Act, 1991 inserting Article 239AA making special provisions with respect to Delhi," the HC had said. The HC, which had rejected almost all the contentions of Delhi government, however agreed with its submission that the LG will have to act on its aid and advice in appointment of special public prosecutors.